If you have no partial credit, for adaptive assignments, this will be a completion grade. A score will either be 0 or the maximum number of points set. For quizzes, this will be a regular percentage grade. If you’ve turned on partial credit, your students’ grades will flow to Blackboard as well. For example, if a student has 75% mastery at the due date a score of 75 points will be sent to the LMS. You may also choose to set the due date in this screen, though it is not necessary. Students will see the due date in alta when the open the alta item, so duplicating the due dates in Blackboard is an unnecessary step. You can change dates at the alta parent course outline level to trigger date changes to all alta child sections but note that each section instructor will then have to manually alter the dates in Blackboard (if they have previously been set). If they have previously been altered at the section level, date changes at the parent course level will not be overridden. If you need to change start or end dates after the course starts and before students start working, you can change them in alta (and manually also change them in Blackboard if you previously entered them). Question: Will due dates update automatically in Blackboard if you change them in alta? 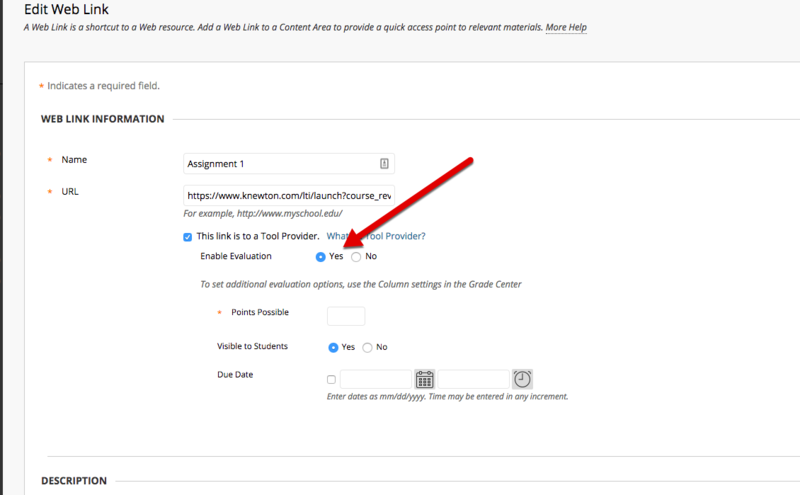 Question: Will due dates update automatically in alta if you change them in Blackboard?